For those new to Cailyn, Cailyn Lloyd is a talented young woman, a multi-instrumentalist, with guitar and keyboards at the fore, and a fine composer. 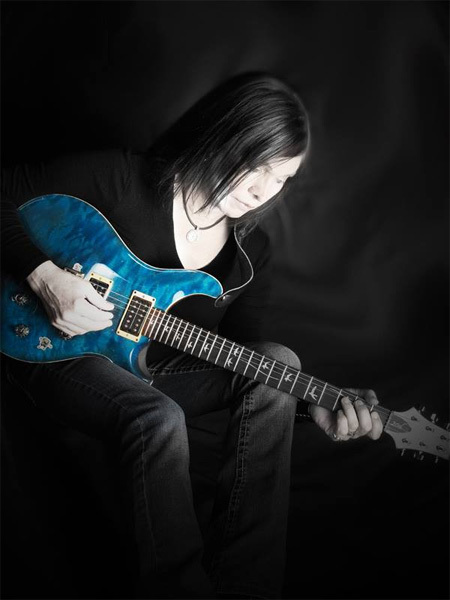 She arrives with her second studio album, Voyager, a work of instrumental progressive melodic rock. As we learned from her 2012 release, Four Pieces, Cailyn is also a fan of classical music. Now we learn that she's fascinated by astronomy and the American space exploration program. To the former, Cailyn has always loved Holst's The Planets, as have I, and she covers four planets in progressive rock arrangements: Jupiter, Saturn, Uranus, and Neptune. Wisely, she stayed away from Mars, likely one of the most interpreted of Holst's planets. The chosen planets are not so much "covered" in complete accuracy, but revisited with the liveliness of rock and the intrigue of progressive rock. Not straying too far from the original intent or melody, Cailyn successfully interprets both the music and mood of all the planets. I liked all her renditions, possibly favoring Uranus and Neptune a bit more. As for the remaining ten songs they are all original numbers with a common theme. They revolve around the Voyager space exploration probe and the planets and moons visited by the probe in it's journey. Now, here's the thing. To do this, Cailyn had to find and contemplate upon images of these visits. And another thing, a Voyager picture Neptune, for instance, isn't all that impressive. Nor that of Jupiter's moon Callisto. Yet, being the imaginative enchantress she is, Cailyn conjured up some mighty intriguing and entertaining music. Most revolve around her feisty guitar skills, but also her use of piano and synths. Some light orchestration comes from Deryn Cullen's cello on Europa and Pale Blue Dot, saxophone from Ian East on Europa, and English horn on Pale Blue Dot from Nancy Rumbel, all a very nice touch, if only a bit subtle. More would be better. 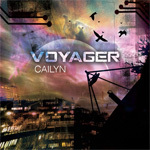 Fundamentally, and the bottom line, Voyager is both a remarkable and pleasing work of melodic progressive rock, and another great leap in creativity for Cailyn Lloyd. Quite recommended. Fundamentally, and the bottom line, Voyager is both a remarkable and pleasing work of melodic progressive rock, and another great leap in creativity for Cailyn Lloyd. Quite recommended.